Is it coincidence that Major Nidal Malik Hasan was a devout Muslim, that 90 percent of the current world fighting involves Islamic terror movements, that Islam is the world’s fastest-growing religion climbing at four times the rate of Christianity, and that abuses associated with Sharia Law are sweeping the globe? According to The Islamic Anti-Christ, Richardson doesn’t think so. “I am trying to present a new paradigm without making people upset,” Richardson said recently on the eve of the third printing of his popular book. “But, people have staked their careers on it,” he said. …Theories presented in The Islamic Anti-Christ continue to grow in popularity as the world watches the injustices of Muslim Law spread across the globe and infiltrate many sectors of U.S. society. Most recently the terrorist-style murders by Major Nidal Malik Hasan in Fort Hood, TX and the imprisonment of Maryam Rustampoor and Marzieh Amirizadeh, two Iranian women who converted from Islam to Christianity, are events Richardson points to on his website, www.joelstrumpet.com, as evidence of things to come. Wooding is former PR man to Billy Graham and TD Jakes. Hilariously, the article also describes the shameless serial liar Joseph Farah as a “faith leader”, and describes Richardson’s spat with Hal Lindsey, who is not at all happy with Richardson muscling in on the market for bogus prophecy paperbacks aimed at credulous fundamentalists. 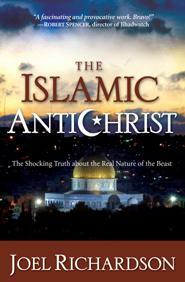 More on the “Islamic Anti-Christ” here. 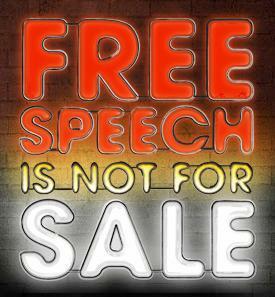 Yesterday I managed to get along to the Free Word Centre in Farringdon Road (London) for the launch of the Free Speech is not For Sale report and campaign for the reform of English libel law, initiated by English PEN and Index on Censorship. The event has been widely covered in the media; the current campaign has gained steam due to issues of libel tourism – which has resulted in laws being passed in the USA to protect American citizens from the London High Court – and the alarming situation of scientists and science writers being threatened for making professional judgements. At the moment, if you are moderately wealthy or if you have a lawyer who is motivated to make threats on your behalf at a cheap rate, it is very easy to suppress free speech on matters of public interest: costs are huge (and may not be fully recovered even if you successfully defend an action), damages can be devastating, the burden of proof is on the defendant, and judges often interpret the law in strange ways. In fact, if you have only limited resources you can still cause a great deal of trouble for someone by dragging them into court over a matter that is unreasonable. Consequently, those of us who are neither extremely rich nor so poor we have nothing to lose are forced to self-censor; and if a libel threat does come there is little that can be done besides backing down by removing material and perhaps issuing an insincere but nevertheless degrading and discrediting apology – and in some cases handing over money. Exempt large and medium-sized corporate bodies and associations from libel law unless they can prove malicious falsehood. Apparently that one is based on an Australian model, and I was sad to see it did not go further. In the USA, the bar is set at “malicious falsehood” for anyone who involves themselves in public affairs, and that’s how it should be in the UK. But will this report have any effect? As was pointed out at the launch, calls for reform have been going on for a long time – and indeed, I’m not aware that the Policy Exchange seminar on the subject which was held in July 2008 had any practical consequencies. However, there is reason for optimism: MPs are taking an interest – a Parliamentary report on “press standards, privacy and libel” is due to be released next month, and Denis MacShane and Evan Harris were present at the launch – and there was an address from Sir Ken MacDonald, former Director of Public Prosecutions. Even a partner from law firm Carter-Ruck agreed there was need for reform, particularly praising the tribunal idea. By itself it changes nothing. Law can only be changed by influencing the legislature, or the case-by-case development of the law by the courts. It will not be enough to read and admire the report: it should be sent to every MP, senior civil servant, and judge. Each political party should now address the report and, if possible, make a manifesto commitment to make parliamentary time – and civil service resources – available for libel reform, which should proceed on a all-party basis. Speaking from the audience, he suggested that the whole law should be scrapped rather than reformed, since laws against malicious falsehood offer sufficient protection. However, as he admits today, “I doubt it is practical politics”. Meanwhile, there’s an article on recent abuses of English libel law – including the antics of solicitor Shahrokh Mireskandari (known to bloggers for his attempt to sue Harry’s Place on behalf of a fugitive Hamas commander last year, although that case is not mentioned) – in the latest Private Eye magazine (1249, p. 7).